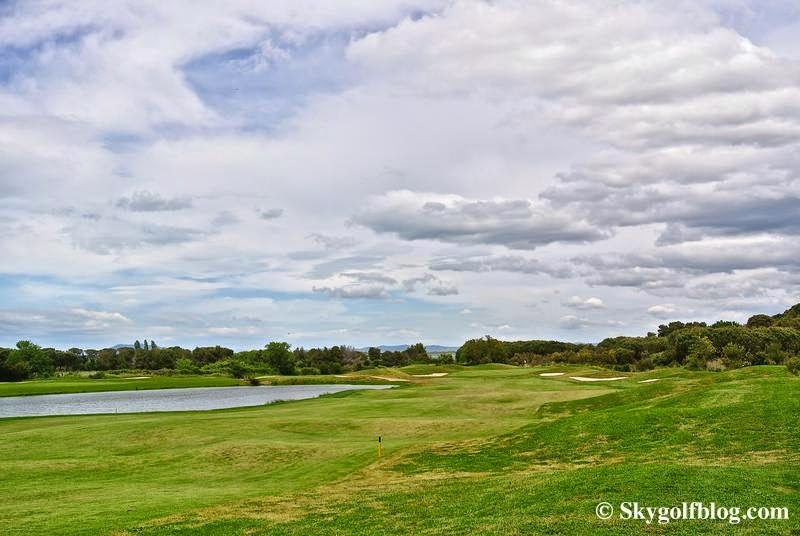 We remain in Tuscany after visiting Royal Golf La Bagnaia. 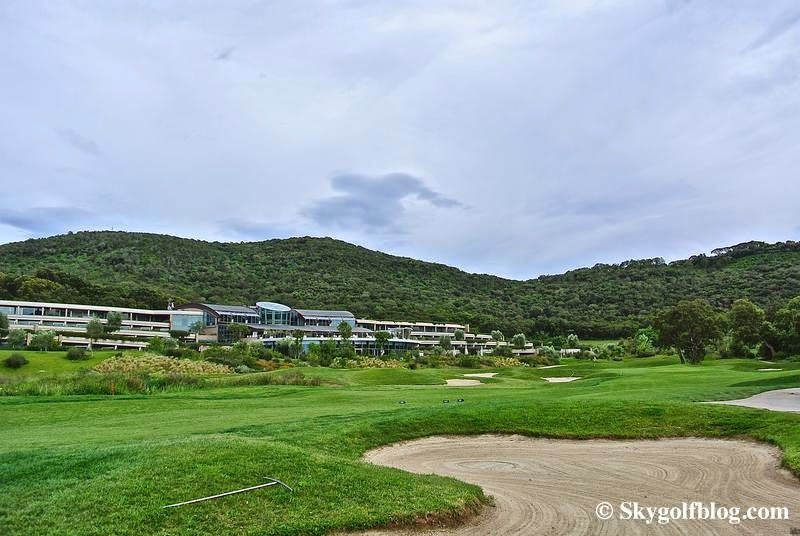 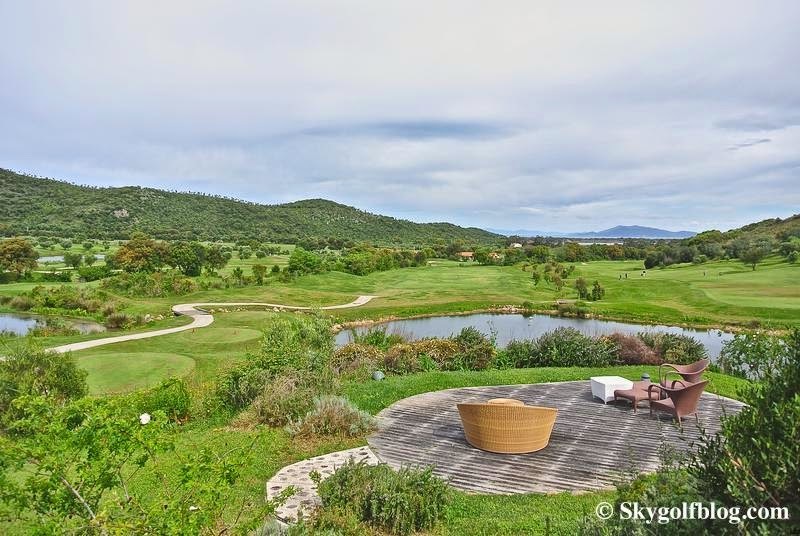 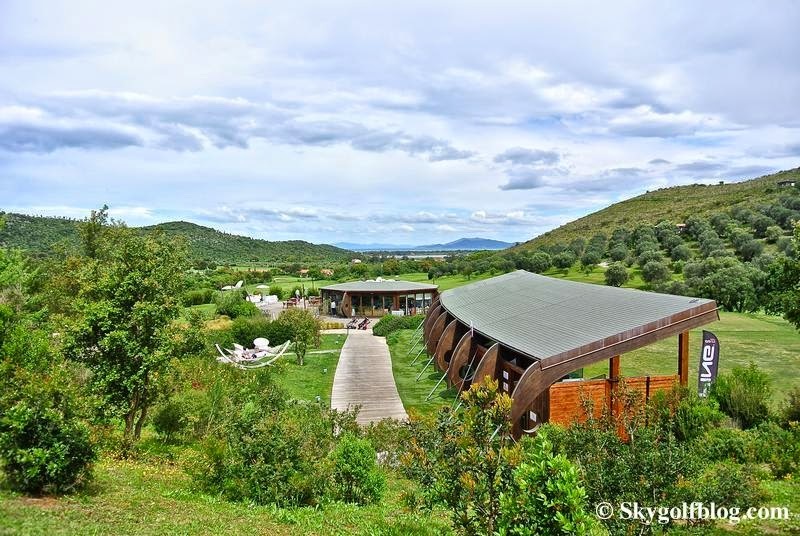 Just less then two hours from Rome, located in the Argentario promontory in the beautiful Tuscany's Maremma, we find another gem among Italy's golf courses, the Argentario Golf Resort & SPA. 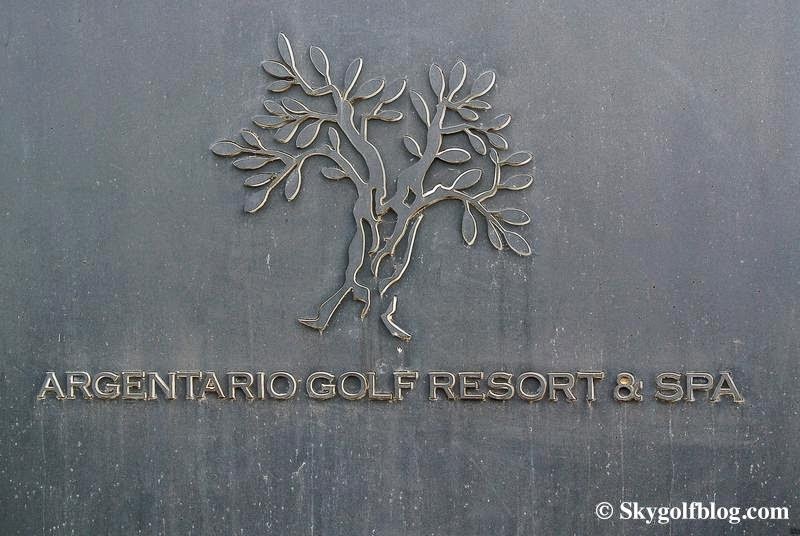 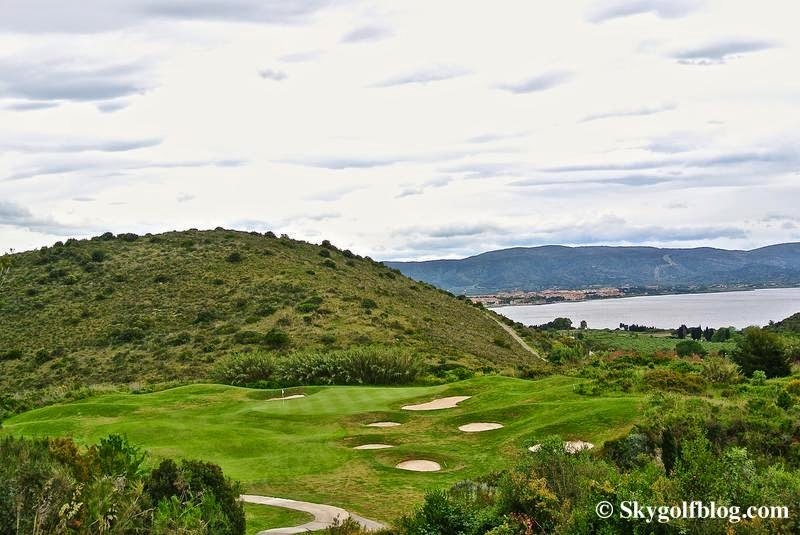 The 18 hole golf course, designed by David Mezzacane and Baldovino Dassù, opened in 2006 and is ranked among the top golf courses in Europe. 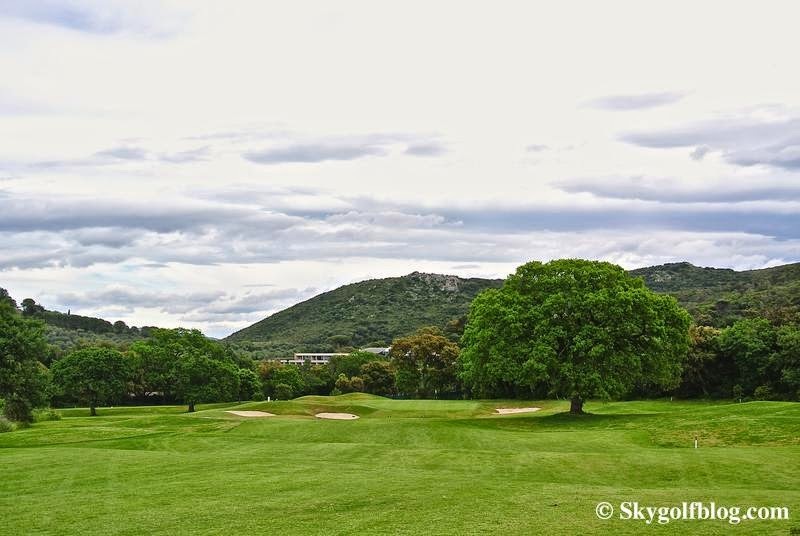 I played other David Mezzacane courses in the past, and I can say with no doubt that Argentario Golf Course is his masterpiece. 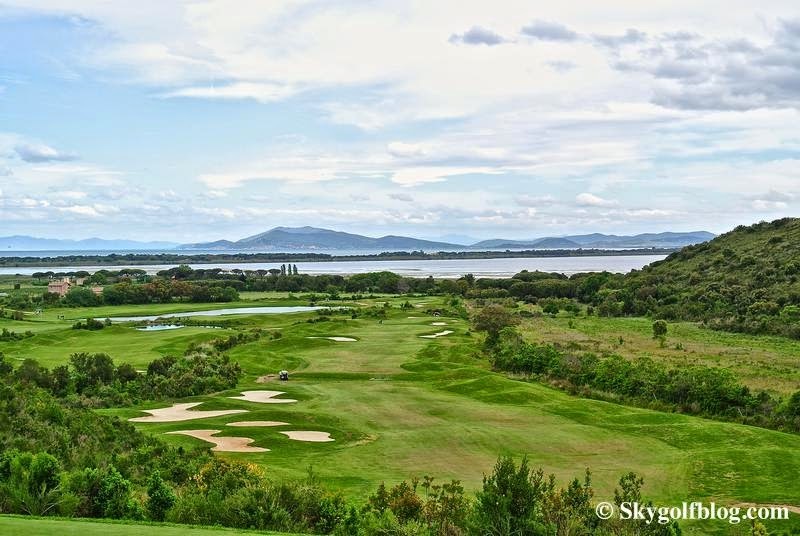 The views over the Orbetello Lagoon and the Tyrrhenian Sea are breathtaking. 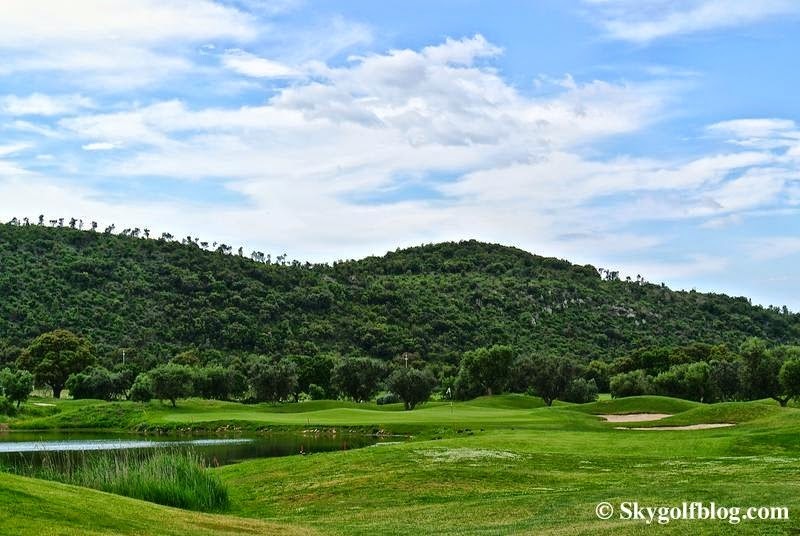 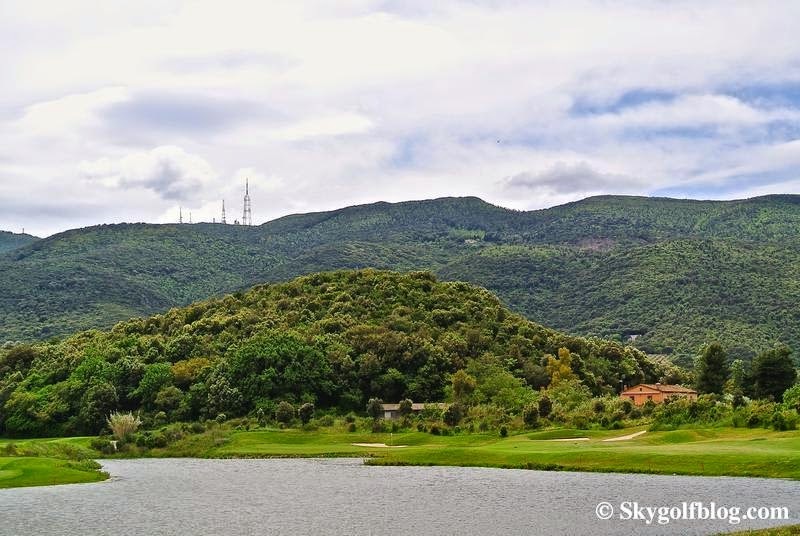 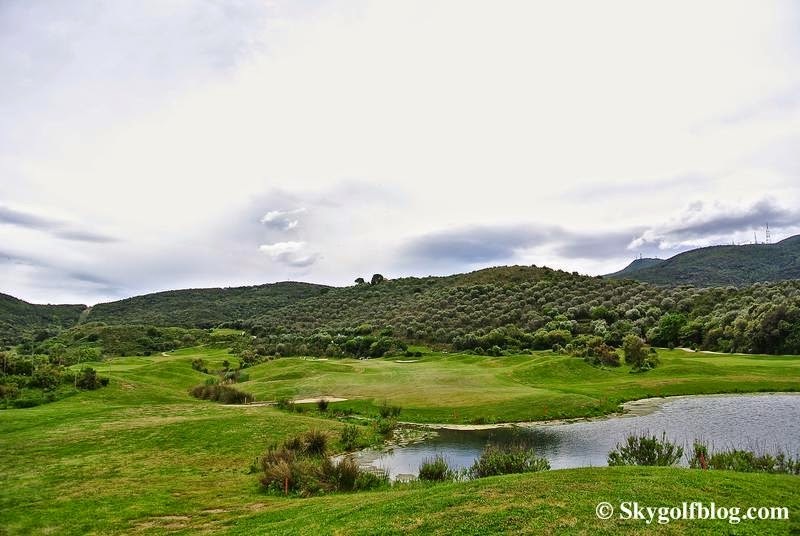 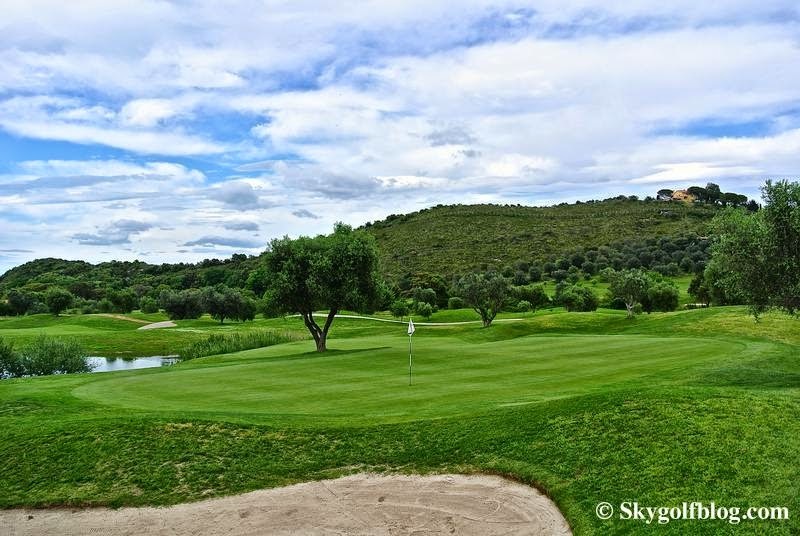 The course is scenic and challening, with several elevation changes covering a natural environment on a protected natural area surrounded by the Mediterranean Vegetation. 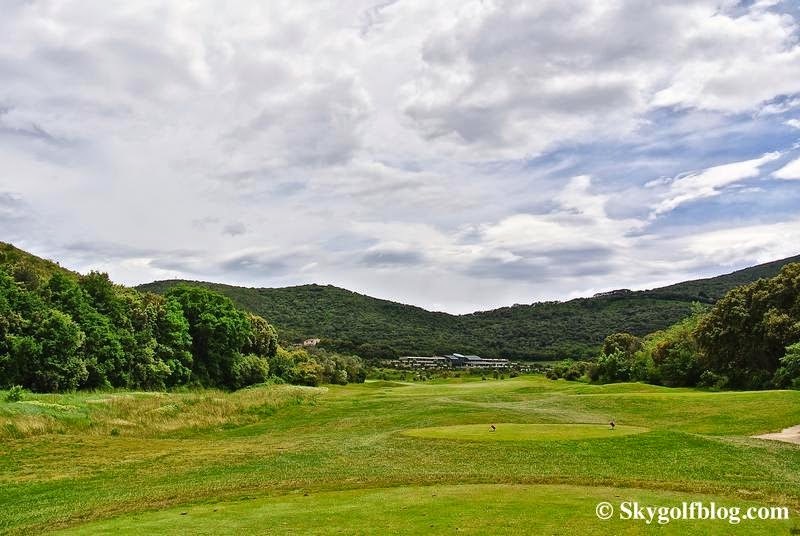 A location where a refreshing breeze mitigates the temperature and adds an extra challenge to the game which, on this course, requires a combination of accuracy and power. 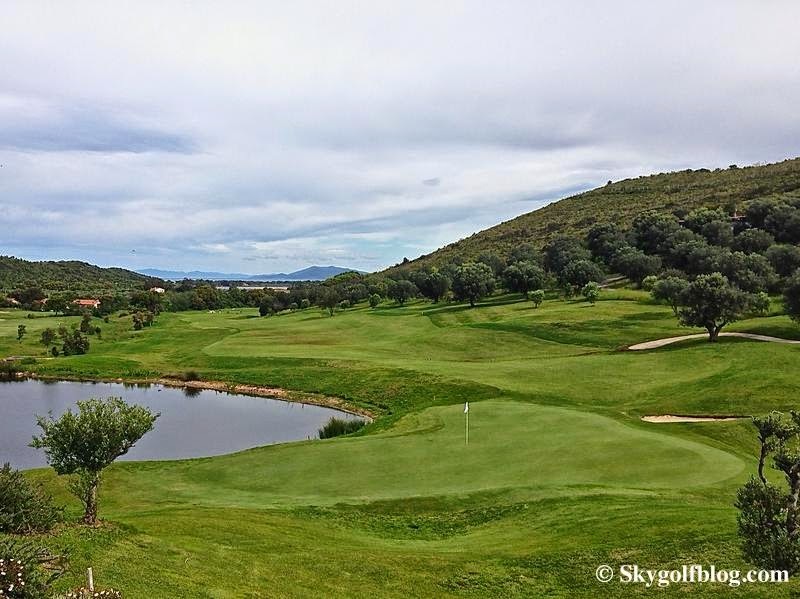 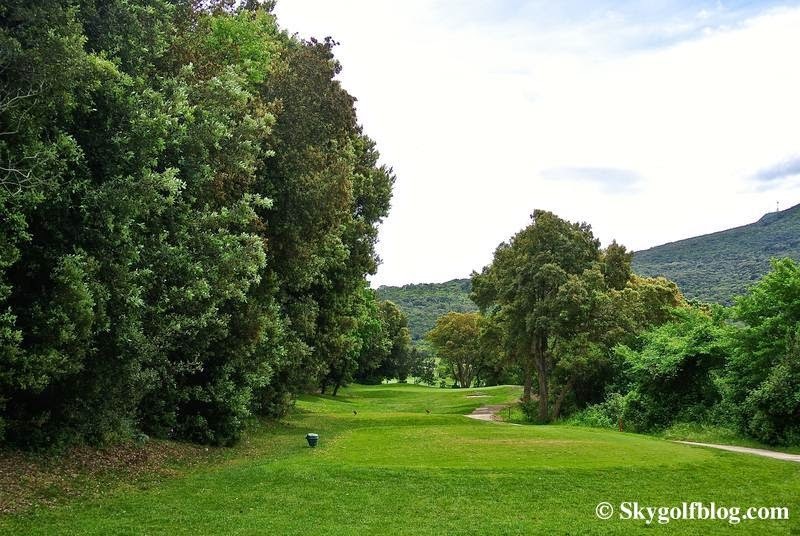 6.218 meters from the back tees, Argentario golf course is a Par 71. 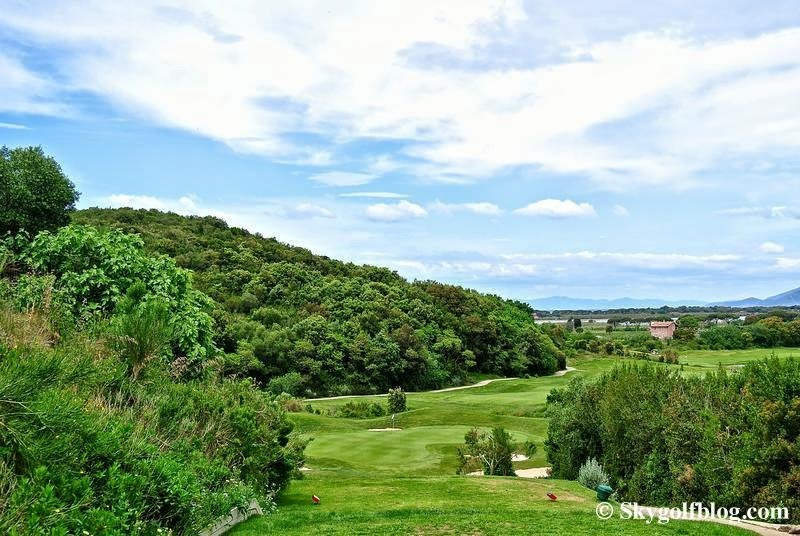 The front-nine provides spectacular views out to sea and across two lagoons that separate Argentario from the mainland, featuring more elevation changes then the back-nine where the course goes inland and flattens with several holes passing directly through olive groves on their way to tricky, undulating greens. 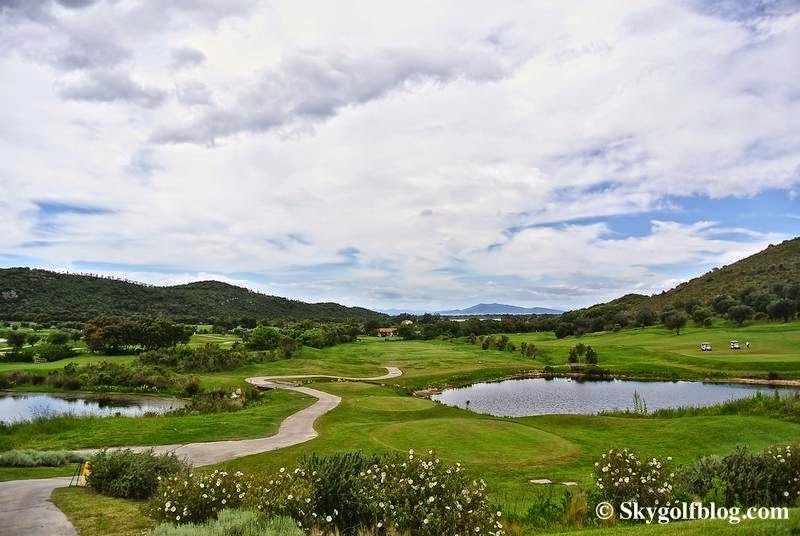 Argentario Golf Course has been awarded the “Agri Cert” certification for its bio eco-compatibility, and all products used for its maintenance are completely natural.